After I graduated from college, I travelled for two months to Italy, Sicily and Malta. I travelled this far and this long, inexplicably, with one carry-one suitcase the size of a large dictionary. It didn’t even have wheels! 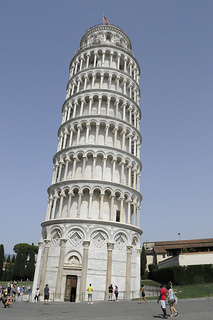 It had a shoulder strap, so when I landed in Pisa I took a look at the leaning tower…ahh…. then strapped my suitcase to my back and trudged the streets, navigating my way with my airport guide map and looking for the nearest hostel. I didn’t need to work or keep up with anyone during my 24-hour trip. I needed to bring everything just in case I needed it. Granted, I did have three children this time around, but this list didn’t even include their needs, unless they wanted to battle me over the DVD player! The two older ones were packing their own items, which probably totaled even more electronics than mine. My poor husband asked for a corner of my suitcase for his pair of shorts and shirt, and I couldn’t even give it to him because I was also carrying birthday gifts for him, which was the main reason for our overnight trip. One large suitcase, one laptop briefcase, one travel bag for the car and one Barbie suitcase later (I filled that one with my hair dryer, in addition to my daughter’s toddler clothes), and I was ready to go!! Lord, thank you for the gift of travel. Help me to prepare my children for the joy of exploration, whether it is near or far. Grab some old photo albums or scrapbooks and page through them with your child(ren), re-discovering some of the places you’ve been to together. Yep, it’s crazy. I have an excel spread sheet for travel. All it took was one time to forget the binkie, and so the “Just in case we need that” lists began… And the extra large suitcases! !